Includes 2 x 4 seater buggies and on island return valet transfers. WOW! Look at Bella Vista West 4 now! This is the ideal tropical island holiday villa! Enormous, double storey villa with breathtaking water views facing East. Complete renovation as at June 2018! With floor to ceiling glass doors that slide open to let the summer breezes in, you can enjoy those summer breezes from the enormous balcony where you can see the stunning views of Hamilton Island waters and surrounding islands. 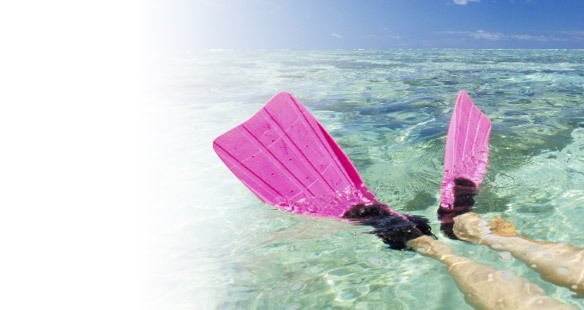 You’ll love the great outdoors with the 8 seater dining setting, sunlounges and BBQ. Featuring open architecture and design, Bella Vista West 4 has many spacious areas, including the lounge/dining/kitchen area. Spread across two levels, with different bedding configurations available, Bella Vista West 4 will accommodate up to 10 people in absolute comfort, with more than just a little luxury. Internet Access Wireless hotspots are available at the Resort Centre. 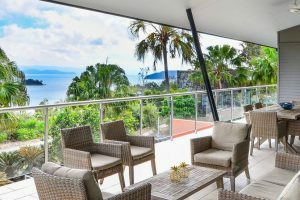 Property address Bella Vista West 4, Whitsunday Boulevard, Hamilton Island, QLD, 4803. View Map. Buggy 2 x 4 seater, Electric – please charge overnight. Additional buggies can be hired on the island for $85 per day. Great value! Includes 2 buggies! Master Suite is enormous and has a King bed. Large ensuite with twin shower. Eastern aspect, meaning the balcony is drenched in sun in the morning. A sunbaker’s heaven! The lounge and dining areas are open plan and stunning. Beautifully furnished lounge including state of the art entertainment system. The large glass doors open up wide to let the outdoors in! 2 large bedrooms downstairs and an enormous master suite upstairs. All have flat screen TVs and luxury linen. Bedroom 2 can be made up as a King bed or 2 x Singles and has a large ensuite. Even has its own balcony leading directly from the bedroom. Flat screen TV! Bedroom 3 is a Queen bed plus an extra single bed with a trundle bed underneath. It also has a flat screen TV. Also a balcony leading directly from this bedroom. 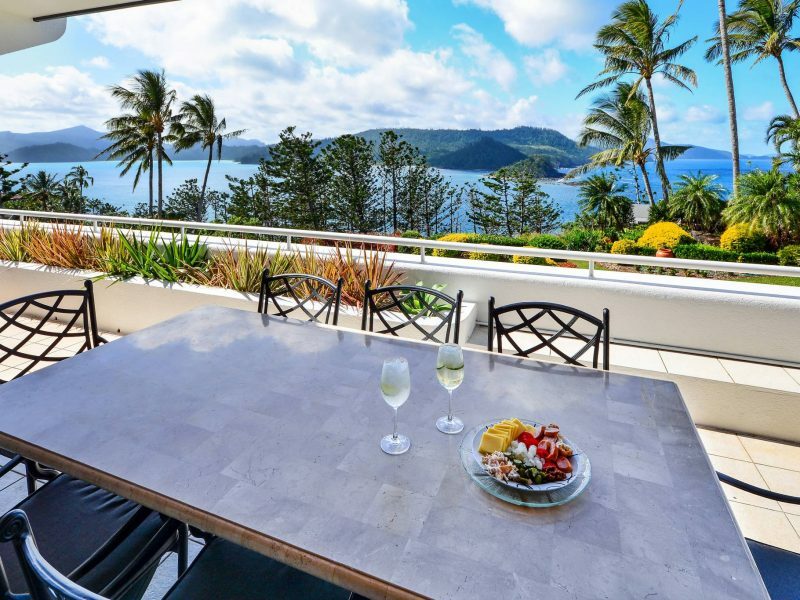 Located on the exclusive northern end of the island – just near the entrance to Qualia. Beautiful rock pool for the exclusive use of those staying at the stunning Bella Vista villas. Immaculately manicured and landscaped gardens have to be one of the best on the island. Includes 2 x 4 seater buggies! 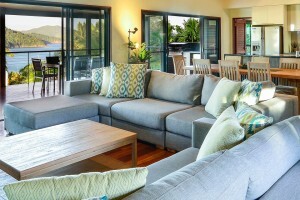 Bella Vista West 4 is one of the best valued 3 bedroom villas on Hamilton Island. The size, location, views and the beautiful furnishing all make it stand out from the crowd. 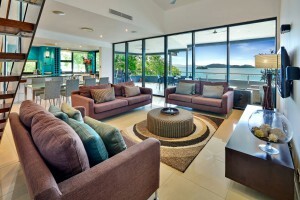 This choice of Hamilton Island accommodation should definitely be considered! Ideal for 3 couples as it has 3 large bedrooms and 3 bathrooms. Or perfect for large groups with plenty of extra bedding – accommodates up to 10!